You have a new way of collecting Avios: Midpoint. Midpoint is a UK-based platform for making international payments. They are FCA regulated and have a 5* Trustpilot ranking. 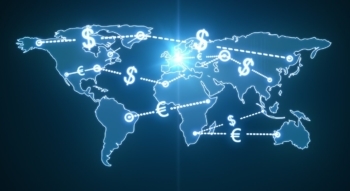 The company operates in 22 currencies covering 72 countries. It uses segregated trust accounts at major local banks so funds are always safe. Typical individual users are expats, international students and those with property abroad. As of yesterday Midpoint has been added to the BA shopping and lifestyle partners page and you can collect Avios with every international money transfer you make. The earning rate is 1 Avios per £10, up to an annual maximum of 100,000 Avios. The service is available to both businesses and individuals. Avios are being awarded into Avios Travel Rewards Programme, British Airways Executive Club, Iberia Plus, AerClub, Meridiana Club or Vueling Club accounts. Remember that Italy’s Meridiana Club is ring-fenced from the other Avios schemes and you cannot transfer Avios in or out to combine them with other balances. Note that if you use the Aer Lingus, Iberia or Meridiana schemes, you earn at the rate of 1 Avios per €11 transferred. A breakdown of the fees can be found here. Midpoint claims to use midmarket exchange rates so the fee is the only expense you have – there is no FX spread. Whilst 1 Avios per £10 may initially seem quite low, it is a decent return on your fee. The example on their site of a £257.50 fee for transferring £50,000 would be offset by around 20% if you value the 5,000 Avios earned at £50. You can register as an individual or a business on this page of the Midpoint site. During the registration process you must upload a proof of identity (i.e. passport) and proof of address. Because we didn’t have this information to hand yesterday we haven’t been able to sign up and have a proper snoop around the website. At the end of the registration process you can add your Avios account number of the programme you would like to receive the Avios into. Make sure that your last name is the same as the one registered with your Avios account in order to receive your points. The Midpoint website is here if you want to find out more. Note that you must use this special Midpoint / Avios page when registering to receive points. I make regular fairly large transfers from GBP to EUR so this looks interesting. Just done the maths though and it’s not worth moving away from Transferwise sadly. Would be nice to earn avios! I’m in precisely same scenario (using TW for GBP to EUR each month) – may I ask how you performed the ‘maths’ please? With all these transfer services it is important to watch out for the existence of intermediaries which might apply fees or poor FX rates that can often be diffucult to ascertain in advance. For those making large transfers or substantial regular payments it is generally best to find a bank in the country of destination that has a branch here in the UK. Where they offer a transfer service, this can enable us to make paynets to the UK branch by BACS so that they can then transfer the payments directly into overseas branches without involving intermediaries. A really good point. Always ask the recipient to check if their bank uses an intermediary to route the money. If they do, the full amount almost certainly won’t arrive! I just use HSBC Global Transfer, no fees at all for Premier and a very low fee for Advance. For amounts less than 10,000 Australian dollars, I occasionally stick to cash with the only fees being the bus fares to the bank. The value of a few hundred Avios is dwarfed by the monetary value of the exchange rate moving by a few basis points in either direction. Has anyone compared the exchange rates at HSBC Global Transfer with other methods of currency transfer? I use HSBC Global Transfer as well, but have long wondered whether the exchange rates may be worse than elsewhere? its been a while since i checked, but HSBC conversion rates werent competitive and i used a different company, HSBC and all the banks lure you in with no fee and the ease of the transaction. Also as a i recall HSBC dont confirm the conversion rate until after the transfer has taken place. That was a while ago, so worth checking for updates. I stopped using them a while ago for international transfers (business transfers on a personal account, they tolerated it for a surprisingly long time), in my experience it was cheaper every time for me to use someone like TransferWise where possible, the rates just weren’t great. This was a couple of years ago though so things may have changed. I would be interested in this too as I have a CAD and GBP act through HSBC Premier and it is extremely easy to swap money from CAD to GBP, but would it be better to use transferwise? I only transfer 10kCAD chunks if that makes a difference? Wish TransferWise signed up as an Avios partner! I am surprised to read the comments here about “no fees”, using banks in any shape, or “whether the exchange rates might be worse”. In my experience it is ALWAYS the exchange rates where the money is made. And I have yet to find a scenario where a regular bank is cheaper than TransferWise – and in fact that often is the cheapest anymore either, sometimes it’s Revolut and I’m sure there’s others that I don’t even know about. Seems like the “no fees” and “no commission” scams are alive and well. Which makes the fact that there are fees from Midpoint even more glaring – I wonder how bad the exchange rate will be ON TOP of that? The article tells you… They use the mid-market rate. A cursory glance suggests it’s pretty rubbish though. The £50k example will give you £80 less in EUR than transferwise – you’re buying Avios at 1.6p each. Unless this is another one of those “deliberately use a service that will overcharge your company/employer so you can enjoy the kickbacks” thing? For Avios purposes it’s not great, but being £80 different over £50,000 isn’t too bad when compared to some mainstream transfer companies. HSBC Premier World Elite “anniversary bonus” – what is the latest on this? I’ve hit my £12k with 6 months to go, but the online messaging support is having absolutely nothing of it and is completely certain I won’t get the points until I renew the card. There have been several success stories on here though, is the phone support any better then? I kept asking for it to be escalated, quoting the terms to them each time and then had a ‘we will get back to you’ response. They eventually did and apologised, credited the points and then I asked for compo and had £50 credited. FirstDirect now also offer free transfers up to £50 000. There is an option to fix the exchange rate in advance, knowing what the amount of foreign currency will be but it’s a worse deal than sending pounds and letting the receiving back do the exchange. O/T – for daily spend, would you guys recommend using the Amex PRG or BAPP? In other words, what’s more valuable – 1 MR or 1.5 Avios? 1 MR = 1 Avios. However, 1 MR also equals a lot of other things …. you may prefer to sacrifice the extra 0.5 Avios in return for the flexibility to send your Amex points elsewhere if you choose. I assume you’ve already triggered the 2-4-1 voucher on the BAPP so that is not a consideration. Remember that if you also put £15k through Gold you’ll get an extra 10k points at renewal which actually takes you to 1.66 Amex points per £1 (based on £15k spending) overall. OT, but related in a commercial sense (been waiting to ask my question and was waiting for a suitable topic, however, loose the connection!) – I’ve a number of bills to pay, in the hundreds of thousands, recepient ok to take CC payment although not set up for this. What’s the best method to keep costs down but to maximize points (preferably Avios). Both from an instrument perspective (i.e. They are not set up for cc payments, no terminal) and from card perspective (best card to use). Many thanks. Are you expecting them to get set up for card payments? I think this Midpoint could be a good deal; if you are transferring <£50k then its very hard to find any deals with less than 0.5% against spot; I just checked transferwise; for a $10k conversion to GBP, they are more expensive than my broker, UK Forex (now OFX). OFX is 0.5% against spot. Midpoint is the same charge, so I reckon that works out at 700 avios, at no cost. Is my maths wrong ? that is just an account set up issue Chris, that’s your credit limit. it should not take long to get this increased. How do their fees/rates compare to Transferwise? I have an OAP relative in Europe that occasionally asks for £50 – £100 “loan” if they are short between pension payments. I’ve been transferring via Citibank to them but are there better/cheaper option for small amounts like this? I use Azimo for small transfers to Spain as birthday present funding for kids and family. Their fee is less than the cost of a postage stamp to EU and the exchange rate is good enough. Azimo has removed its credit card fees too. They implied it will go through as a purchase. Tgere are also HiFX and Caxton cards that are worth considering.